On 17 October 2018, cannabis was legalized in Canada for recreational purposes. It was already legal for medicinal purposes, under conditions outlined in the Access to Cannabis for Medical Purposes Regulations (ACMPR) issued by Health Canada, and for seed, grain, and fibre production under licence by Health Canada. Although the Cannabis Act allows for legal use of cannabis, provinces and territories are allowed to enact restrictions and regulations regarding sale, distribution, and use of cannabis. For example, each province and territory set its own procedures for retail sales, and these vary as to ownership or retail outlets (by the provincial government or private enterprise) but all include an option for on-line sales. While each household is allowed to grow up to four cannabis plants from “licensed seed or seedlings”, Quebec chose to be excluded from this aspect of the legislation so it is not legal in the province. Manitoba permits home growing only with a medical license. While specific regulations vary among provinces and territories, there are some general rules regarding promotion, packaging, and advertising. Adult-use cannabis can only be sold in packages of a single colour without graphics other than the logo and a health warning. Cannabis companies in Canada are not allowed to promote themselves through TV commercials, billboards, or glossy magazine ads, sponsor people or events, or put their names on sports and cultural facilities. Alberta 18 Yes None Four Only where tobacco may be smoked. Yes Yes Yes Currently 17 Government-operated Must be secured in closed packaging and not within reach of the driver or occupants. British Columbia 19 Yes 1,000 grams Four There is a ban on smoking or vaping cannabis in playgrounds, schools, and other public areas used by kids. Can be mostly used where tobacco is smoked. Yes Yes Yes Yes Government-operated Must be in a sealed package, or inaccessible to any passengers. Allowed to drive with no more than four cannabis plants that are not flowering. Manitoba 19 Yes but only with a medical license None Not permitted No Yes No No Currently 30 Privately-operated Must be stored in a secure compartment, such as a trunk. Newfoundland and Labrador 19 Yes None Four No Yes Yes No Yes Government-operated Must be in a sealed package or not readily available to anyone in the vehicle, unless the vehicle is being used as a dwelling. Passengers on taxis and buses are allowed to carry cannabis. Northwest Territories 19 Yes Four Yes, on trails, highways, streets, roads and in parks when they are not in use for public events. Yes Yes Currently five Government-operated Must be unopened or be stored in a place that is out of reach for any passengers. Nunavut 19 Yes 150 grams Four Can be mostly used where tobacco is smoked, with the exception of vehicles, school grounds, hospital or health centre grounds, and playgrounds. TBD TBD No No Government-operated Must not be within reach of anyone in a vehicle. Ontario 19 Yes None Four Yes, only where tobacco is smoked, with the exception of vehicles. Yes Yes Yes Introduced on April 1, 2019. More to open in coming months Government-operated Must be sealed or not readily available to anyone in the vehicle. Prince Edward Island 19 Yes None Four No No No Yes Currently four Government-operated Required to be secure and inaccessible to anyone in the vehicle if opened. Saskatchewan 19 Yes None Four No Yes Yes No Yes Privately-operated Allowed in a vehicle, provided it is not being ingested, it was bought legally and is being transported to a place where it will be legally ingested. Yukon 19 Yes None Four No No No Yes Currently one Government-operated Must be in a closed container and inaccessible to all passengers. A new poll suggests Canadians are divided when it comes to the age to buy and consume marijuana. A 2018 new survey from the Angus Reid Institute suggests three-quarters of Canadians believe the minimum age to purchase and consume cannabis should be raised from the current age of 18. While just over one in four people (27 per cent) say that 18 is the right age, 73 per cent said it should be higher. One in five (21 per cent) believe that 19 would be more appropriate, while 26 per cent said 21 is the right age. Seven per cent believe it should be even higher than 25. Bill 26 was introduced in November, 2017 and will make cannabis consumption legal for persons 18 years of age and older. The bill received royal assent on December 15, 2017. Under the bill, private retailers may sell cannabis to the public, but online sales are reserved to the provincial government. As early as mid 2017, 45,000 citizens had provided input to Calgary city government for regulations on retail establishments and 60 stakeholders wanted to be part of post-draft regulation process. The minimum age to use cannabis is 18 (the federal minimum) which Alberta shares with Quebec, with all other provinces setting the age at 19. Alberta also planned to allow public smoking of cannabis, to fall under the same restrictions as public smoking of tobacco. The recreational use of marijuana was legalized Canada-wide on 17 October 2018. As expected, the minimum age in Alberta is 18 and sales are made at private enterprise stores licensed by Alberta Gaming, Liquor and Cannabis or from the government’s web site. Retail stores licensed to sell cannabis must not also sell alcohol, tobacco or pharmaceuticals. The product available includes dried flower, milled flower, plant seeds, oil, capsules and pre-rolls. Edibles will not be legal until late 2019 at the earliest. The rules as to where cannabis can be consumed vary from city to city, but typically, Albertans can do so in their homes and in some public spaces where cigarette smoking is allowed, but cannabis use is banned in cars. Specific laws about driving under the influence of cannabis are in place. As of 10 January 2019, there were 17 (private enterprise) retail stores in operation. After public consultation, British Columbia released a provincial regulatory framework for the sale and use of cannabis for recreational use. The framework proposed the minimum age to possess, purchase and consume cannabis will be 19 years old, which is the same age to buy alcohol. There would be a government-run wholesale distribution model and for on-line sales, although private and publicly run retail stores would operate. Cannabis consumption would be allowed in any public area where vaping and smoking is permitted, however, if the area is frequented by children, cannabis would be banned. Drug impaired driving would continue to be illegal. cannabis plants or cannabis seeds, cannabis products marketed for pets and soap or bath products containing cannabis. Initially, there was only one cannabis store in B.C. (Kamloops) operated by the government, but over than 100 private retailers had applied for licenses. Stores will require municipal consent prior to approval. As of 10 January 2019, there were only a few private enterprise retail stores in operation, in addition to the provincial cannabis store in Kamloops. In December 2017, Manitoba introduced the Safe and Responsible Retailing of Cannabis Act, detailing their plans for cannabis use and sales. The age for use would be set at 19, and communities would be allowed to opt-out of cannabis sales by plebiscite. Home-growing of cannabis would be prohibited. Manitoba Liquor and Lotteries would source all cannabis to retailers, where it will be sold in private-sector stores. By the time recreational marijuana was legal in Canada, Manitoba had firmed up its rules. The minimum age is 19, cannabis must not be smoked or vaped in public, home growing is not legal and individuals may carry up to 30 grams of cannabis while in public. Purchases can be made on-line or at the provincially licensed retail stores operated by private enterprise companies. As of 10 January 2019, there were 16 (private enterprise) retail stores in operation. In 2017 the provincial government announced that crown-run New Brunswick Liquor Corporation would take charge of opening up to 20 cannabis stores in the province. Proposed new laws in the province included limiting adults to carrying 30 grams of cannabis (with no limit inside the home), and requiring that cannabis in the home be stored in a locked container or room. Smoking cannabis will be banned in public places. All of the plans and rules had been finalized by early October 2018. (The rules for medical cannabis were not modified in any way.) The minimum age to use, buy, grow or possess cannabis for recreational use is 19. Cannabis must not be consumed in a public place or in a motor vehicle, whether it’s moving or not. Adults may buy up to 30 grams of cannabis from a Cannabis NB retail store, and possess no more than this amount in public, but there is no limit on the amount that may be possessed at an adult’s home. Hotels and campgrounds can restrict the smoking and vaping of cannabis but not ban other methods of consumption. A household may grow up to four plants. Purchases may be made only through Cannabis NB, whether a store or e-commerce site; no advertising of the product is allowed. In contrast with other Atlantic provinces, NL planned to allow cannabis to be sold by licensed private retailers, though distribution and regulation will be run by the province’s crown corporation Newfoundland and Labrador Liquor Corporation. The purchase age will be set at 19. By October 2018, all of the plans and rules for recreational marijuana had been finalized. The province approved 22 retail stores, all privately operated, including ten by Dominion stores, but fully controlled and regulated by the NLC. Additional stores will be added after they are approved and licensed. The minimum age for use is 19. Cannabis is sold in dried flower, oil, and capsule form, in economy, midstream and premium quality levels. A maximum of 30 grams may be purchased at one time. Edibles will be legalized within one year. Although medical marijuana may be smoked or vaped in public where tobacco smoking is allowed, recreational cannabis may be consumed only inside private dwellings, or in yards attached to those dwellings, never in a public place or in a vehicle. An RV being used as a residence qualifies as a private dwelling but is subject to any rules placed by the campground operator. Adults may grow up to four marijuana plants per household. NWT planned set the legal age for cannabis use at 19. Smoking would be allowed on private property, and public smoking will be “restricted in certain areas”. The plan was for the Northwest Territories Liquor Commission to manage all import and distribution of cannabis, through retail outlets and by-mail. Similar to alcohol regulations, communities would be able to hold plebiscites to opt-out of cannabis sales in their jurisdiction. By mid October 2018, the plan and rules for the NWT had been finalized. A full eight to 10 products are offered and this is expected to increase significantly over time. Initially, five liquor stores were selling marijuana and also bongs and other accessories. The Liquor and Cannabis Commission regulates all pot sales in the territory. Online orders from the government web sites can also be made, with the cannabis delivered by Canada Post. Stores operated by private enterprise companies will be licensed in future. There are restrictions as to where marijuana may be smoked. Legal purchase of recreational cannabis in Nova Scotia in 2018. The province’s plan was for cannabis to be sold alongside alcohol at current stores run by the Nova Scotia Liquor Corporation. The age of purchase is set at 19. As expected, the legal age is 19 in Nova Scotia and only the Nova Scotia Liquor Corporation (NSLC) is allowed to sell marijuana; all but one of the 12 stores are selling both marijuana and liquor products; there is a single store that sells cannabis products exclusively. On-line sales are also available through the NSLC web site. Each household may grow up to four marijuana plants. The limit on possession at any give time is 30 grams. Just as locations for cigarette smoking are restricted by the Smoke Free Places Act, smoking or vaping of cannabis is also restricted, prohibited in many locations. Nova Scotia will also prohibit the use of cannabis in vehicles. Due to delays caused by the October 30th territorial election in 2017, Nunavut was expected to be the last territory to announce its legal cannabis framework. Sales are being made online, by phone and through agents of the Nunavut Liquor and Cannabis Commission (NULC). All of the product was initially provided by Tweed which offers 10 different strains of marijuana and lines like Leafs by Snoop. For some time, no stores will sell marijuana but private enterprise stores may be licensed in future. Communities will not be allowed to declare a prohibition on marijuana use but can refuse to accept a cannabis store. The minimum age for possession or use is 19. Restrictions on smoking the product are the same as for tobacco smoking. The NWT government was considering the legalization of lounges where cannabis may be consumed in a format other than smoking. No more than 30 grams may be bought at one time by an individual or carried in public. As of 10 January 2019, the only method of purchasing cannabis was the on-line provincial store. No announcement had been made about the plan for storefront operations. As of legalization, the Liquor Control Board of Ontario (LCBO) is the sole vendor of cannabis in Ontario, via its online retailing subsidiary Ontario Cannabis Store (OCS). Initially, OCS was to open retail stores as well (with at least 150 by 2020), but they were shelved by the Doug Ford PC government in favour of allowing private retailers in the future. OCS remains the sole online retailer for cannabis in Ontario, and will act as wholesaler for all private cannabis stores. The PC government plans to establish its framework for private sales by April 2019. The minimum legal age in Ontario is 19, and adults can carry up to 30 grams in public. Cannabis edibles will not be sold for another year, but home made food and drinks can be made. Ontario’s cannabis legislation allows for vaping and smoking the product in public wherever tobacco may be smoked; naturally, there is a long list of places where it is prohibited. Home-growing is permitted, with up to four plants per household. The government was planning to accept entries in mid-January 2019 for the first 25 retail cannabis licences; a lottery would be used to select the final contenders for operating the brick-and-mortar stores. As of 10 January there was a shortage or product, and unless that improved significantly, the number of stores to be open would need to be limited. In December 2017, PEI announced preliminary regulations for the 2018 federal legalisation of cannabis. Per the plan, the Prince Edward Island Liquor Control Commission will administer all cannabis shops, which will be standalone stores, and the purchasing age will be fixed at age 19. A public survey was held in August and September 2017, asking residents their opinions on legal age, commerce, etc. The survey received over 3,000 responses. By early October 2018, all of the plans and rules for recreational cannabis had been finalized for PEI. The legal age for possession or use is 19 and there are many locations where cannabis consumption is prohibited, including in any vehicle or boat. Adults may also grow marijuana plants, up to four per household. The Highway Traffic Act will be amended to include cannabis intoxication in a motor vehicle, similar to alcohol. Adults may possess up to 30 grams of cannabis away from home but there is no limit to the amount kept in the home, if it is secure from access by those under age 19. The government’s Prince Edward Island Cannabis Management Corporation, will operate four cannabis retail stores in 2018 in addition to their online store, selling dried cannabis, cannabis oil, seeds and seedlings. Additional stores may be added in future. No other entity is licensed to retail recreational cannabis in the province. Cannabis for medical use is still sold only by licensed producers; no change in this aspect has been made. During the planning stages, the Société québécoise du cannabis was to be the only legal entity to transport or sell cannabis at the retail level. In contrast to the common age minimum of 19 in most provinces, in Quebec the age limit would be 21. Also home-growing would not be permitted. Twelve Société québécoise du cannabis stores opened on 17 October, and another three were expected to open within weeks. A full 150 different products are sold, in dried, fresh or oil format, but not edibles, as well asaccessories such as vaporizers. On-line sales from the SCDQ web site also commenced on 17 October. Adults may possess up to 30 grams of dried cannabis, the maximum allowed per purchase, but a full 150 grams may be kept in a household, regardless of the number of adult residents. While allowed under federal law, Quebec prohibits the growing of marijuana plants even for personal use. Under Quebec’s law, it is prohibited to cultivate cannabis for personal use. The consumption of cannabis is heavily restricted; it cannot be used wherever tobacco smoking is prohibited, as well as in a long list of other locations. Some municipalities have restricted smoking in some or all public spaces, but this does not include Montreal. Impairment under the influence of drugs is illegal as it is for drunk driving. In March 2018, the Saskatchewan Liquor and Gaming Authority released its framework for distribution, sale and use of cannabis. This framework includes setting the minimum age for non-medicinal cannabis consumption at 19 years of age. Legislation is being considered to prohibit the possession by a minor. Consuming cannabis in public spaces will be prohibited and drug-impaired driving will continue to be illegal. The province will adopt the federal minimum standards around home production, including a limit of four plants per household. By October 2018, the rules and plans had been finalized. Under provincial cannabis legislation, the minimum legal age for purchase or use is 19, and recreational cannabis may not be consumed in public spaces or in any vehicle; other restrictions apply as to where the product may be consumed. An adult may carry up to 30 grams of cannabis. Driving while impaired is illegal, whether the cannabis is used for medical or recreational purposes. Adults may grow up to four marijuana plants per household for personal use; restrictions may be placed by landlords or condo corporations. Only six cannabis stores were open initially operated by private enterprise companies and licensed by the province; on-line purchases could also be made from the provincial web site. As of 10 January 2019, there were 17 (private enterprise) retail stores in operation, with 34 others still in the approval process. For Yukon’s proposed framework, the territory planned to have one government-owned physical store in the main city of Whitehorse, and online sales to reach more distant communities. The minimum age for cannabis use would be 19. By 17 October 2018, the Cannabis Yukon store in Whitehorse and the territory’s ecommerce retail site were operating. They stocked “ver 30 strains and 120 unique products including dried flower, milled flower, pre-rolled, oils and capsules”. Product ordered on-line is delivered by Canada Post. The Yukon Liquor Corporation planned to set up a cannabis licensing board by spring 2019 to accept applications from private companies to operate retail stores. As of 10 January 2019, there was only a single (government-run) retail store in operation. While various First Nations communities have differing approaches to the prospect of a legal cannabis economy, First Nations leaders have called for more local control of the cannabis economy on their reserves. ^ Scott, Monique (June 20, 2018). “Marijuana to be legal in Canada starting October 17, Trudeau confirms”. Global News. ^ a b c “Marijuana is legal everywhere across Canada now”. Inside Halton. Metroland News. 17 October 2018. Retrieved 27 October 2018. ^ a b c “Cannabis is legal in Canada — here’s what you need to know”. CBC News. CBC. 17 October 2018. Retrieved 27 October 2018. ^ “Cannabis in the provinces and territories”. Government of Canada. Retrieved 3 November 2018. ^ a b c d “Pot politics: A look at the provinces’ legalization plans going into 2018 – Article – BNN”. BNN. 2017-12-30. Retrieved 2018-04-29. ^ Bissett, Kevin (June 8, 2018). “Marijuana industry seeks ‘creative ways’ to brand product”. Toronto Star. The Canadian Press. Retrieved July 22, 2018. ^ Miller, Jacquie (April 3, 2018). “Rock stars, actors getting in on Canada’s race to legal weed”. Ottawa Citizen. Retrieved July 22, 2018. ^ “Cannabis Legalization in Alberta”. Retrieved 2018-09-29. ^ a b c d e f g h i j k l m “CTV News | Marijuana legalization in Canada”. CTVNews. 2017-12-26. Retrieved 2018-04-27. ^ “Province of Manitoba – Cannabis in Manitoba”. Province of Manitoba. ^ a b c d e f g h “CTV News | Marijuana legalization in Canada”. www.ctvnews.ca. Retrieved 2018-10-14. ^ a b c Affairs, Executive and Indigenous. “Cannabis in the NWT”. www.eia.gov.nt.ca. ^ “Bill 108 – Cannabis Control Act”. Government of Nova Scotia. ^ a b c d e f g h i “Cannabis legalization – Ontario.ca”. Government of Ontario. 2018-09-08. Retrieved 2018-11-08. ^ a b c “The user guide to legal pot in all Canada’s provinces, territories”. Financial Post. 2017-12-08. Retrieved 2018-04-13. ^ “Cannabis in the provinces and territories – Canada.ca”. canada.ca. ^ “Cannabis Legalization – Home – Encadrement du cannabis au Québec”. encadrementcannabis.gouv.qc.ca. ^ Dave Dormer · CBC News. “Minimum age to buy pot in Alberta will be 18 once federal law is in place – CBC News”. CBC. Posted: Oct 04, 2017 10:30 AM MT. Last Updated: October 5, 2017. ^ “Legalization is nigh: Things to know in Alberta before getting high”. Global News. 16 October 2018. Retrieved 28 October 2018. ^ “Cannabis – British Columbia”. Province of British Columbia. Retrieved 20 March 2018. ^ “B.C. gov’t releases updated rules on cannabis, consumption”. Global News. 5 October 2018. Retrieved 27 October 2018. ^ “B.C. defines rules on use, possession and sale of cannabis”. vancouversun.com. 5 October 2018. Retrieved 27 October 2018. ^ [hhttps://www.thestar.com/news/cannabis/2019/01/10/ontario-is-holding-a-lottery-for-cannabis-stores-on-friday-heres-what-the-rest-of-the-country-tried-and-how-it-turned-out.html “Ontario is holding a lottery for cannabis stores on Friday. Here’s what the rest of the country tried and how it turned out”]. Toronto Star. 10 January 2019. Retrieved 11 January 2019. ^ “Legal pot in Manitoba — here’s a refresher on rules”. Global News. 18 October 2018. Retrieved 28 October 2018. ^ Jacques Poitras. “NB Liquor to sell recreational cannabis in stand-alone pot stores – CBC News”. CBC. Posted: Oct 25, 2017 7:00 AM AT. Last Updated: Oct 25, 2017. ^ Jacques Poitras · CBC News. 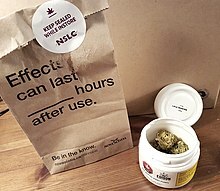 “Forget using pot in public when drug is legal, province says in strict new rules – CBC News”. CBC. Posted: Nov 07, 2017 12:21 PM AT. ^ “Cannabis rules: what to expect in New Brunswick”. 15 October 2018. Retrieved 27 October 2018. ^ “Newfoundland and Labrador to sell marijuana through private stores” – via The Globe and Mail. ^ “All your questions about legal recreational cannabis in N.L. answered”. CBC. 15 October 2018. Retrieved 29 October 2018. ^ Wilkinson, Cameron. “GNWT releases proposed plan for legalizing cannabis”. ^ CBC News. “N.W.T. gov’t outlines plan for control of legal cannabis in the territory – CBC News”. CBC. Posted: Nov 24, 2017 12:53 PM CT.
^ “With 1 week to spare, N.W.T. gov’t finalizes plan for cannabis legalization”. CBC News. CBC. 10 October 2018. Retrieved 27 October 2018. ^ “Here’s what you need to know about legal cannabis in the 3 territories”. CBC News. CBC. 17 October 2018. Retrieved 27 October 2018. ^ Canada, P. M. N. (7 December 2017). “Nova Scotia, Prince Edward Island both set legal age for marijuana use at 19 – National Post”. ^ “Cannabis is now legal, here’s everything you need to know before you light up in Nova Scotia”. Global News. October 17, 2018. Retrieved October 28, 2018. ^ Sara Frizzell · CBC News. “Community consultations on legal weed coming to Nunavut in January – CBC News”. CBC. Posted: Dec 13, 2017 11:17 AM CT.
^ “Here’s what you need to know about legal cannabis in the 3 territories”. CBC News. CBC. 17 October 2018. Retrieved 28 October 2018. ^ “Cannabis Summary”. Namaste. Nunavut. 11 October 2018. Retrieved 28 October 2018. ^ a b “Ontario to allow private retailers to sell cannabis, province will handle online sales”. CBC News. Retrieved 2018-10-28. ^ “Ontario to allow private retailers to sell cannabis, province will handle online sales”. CBC News. Retrieved 2018-10-28. ^ “Pot is now legal in Ontario. Here’s what you need to know”. CBC News. 2018-10-17. Retrieved 2018-10-28. ^ “Ontario Cannabis Store opens for online sales, government passes marijuana bill”. Global News. Global RV. 17 October 2018. Retrieved 27 October 2018. ^ CBC News. “Questions linger after P.E.I. unveils plans for marijuana legalization – CBC News”. CBC. Posted: Dec 10, 2017 8:00 AM AT. ^ Cody MacKay · CBC News. “Next phase in provincial pot legislation begins – CBC News”. CBC. Posted: Oct 14, 2017 1:41 PM AT. ^ “CCannabis rules: what to expect in P.E.I.” The Guardian. 15 October 2018. Retrieved 27 October 2018. ^ Authier, Philip; October 24, Montreal Gazette Updated:; 2018 (25 October 2018). “CAQ wants to hike legal age for cannabis to 21 by March, minister says – Montreal Gazette”. ^ “Cannabis at 21: Quebec confirms it will raise age ASAP – CTV News Montreal”. montreal.ctvnews.ca. ^ “FAQ: Everything you need to know about legalized cannabis in Quebec”. Montreal Gazette. 17 October 2018. Retrieved 28 October 2018. ^ “Saskatchewan Cannabis Framework Released”. Government of Saskatchewan. Retrieved 20 March 2018. ^ “What To Know About Cannabis Legalization”. Sask Government. 17 October 2018. Retrieved 28 October 2018. ^ “Thousands of customers visit cannabis stores on opening day in Sask”. Global News. 18 October 2018. Retrieved 28 October 2018. ^ “Yukon government not expecting to make an early profit from pot”. Yukon News. 13 December 2017. ^ “Cannabis Yukon opens for business October 17”. Cannabis Yukon. CBC. 16 October 2018. Retrieved 27 October 2018. ^ “Cannabis Regulations On Reserves Must Be Determined By First Nations: Chiefs”. civilized.life. 8 December 2017. Retrieved 23 December 2017.